Web series are the next thing and so are its actors who have created a new league for themselves. Actor Ali Fazal who has been applauded for his role in Mirzapur and Kirti Kulhari for ' Four More Shots Please' has hit the top charts of Score Trends India for the recent week. 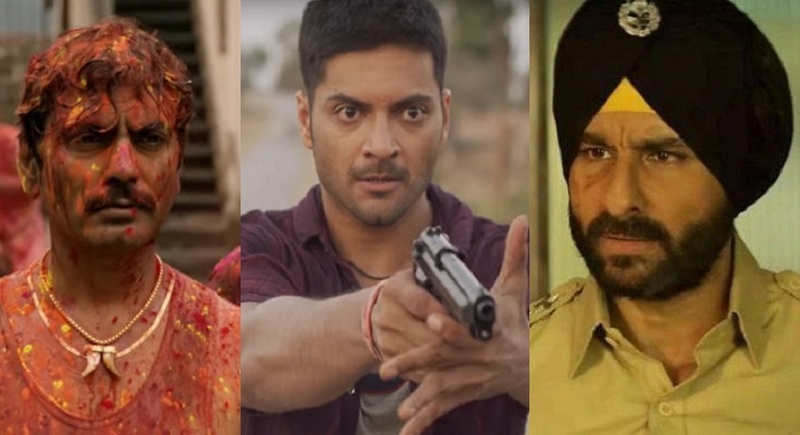 In the category of best actress in Web series, Kirti Kulhari has shocked all with her bold performance in Amazon Prime's 'Four More Shots Please' gaining 94 points leading the charts followed by Radhika Apte (Netfix's Sacred Games & Ghoul) on 46 points ranking second. BFF's with Vogue season 2 ( Voot) put Neha Dhupia on rank third with 7 points also Swara Bhaskar for her performance in 'It's Not that Simple (Voot)' and Rasbhari puts her on rank fourth and Lisa Ray on rank fifth ('Four More Shots Please') with 2 points. Kirti fared well in all the three platforms, Digital News, Newspaper and Viral News. Ashwani Kaul, co-founder of Score Trends reveals, "Web series is the future and therefore we began tracking the actors and found a huge fan following for them on Social platforms, Viral news, Digital News and Newspapers who might be minuscule in cinema but huge on Web format." Kaul further added, "We collect data from over 600 news sources across 14 languages in India to analyze the media. These include Facebook, Twitter, print publications, viral news on social media, broadcast and digital platforms." "Various sophisticated algorithms then help us to process this massive amount of data and arrive at the scores and rankings of celebrities," conclude Kaul.